This is a rain-or-shine event, but your safety is our first priority. We continue to monitor the weather and the forecast seems to have improved slightly, but that can change. We plan to be fully set up at Samsung at 7 AM and will be posting conditions from Ride Start on facebook.com/RosedaleRide. We will not make a final call about delays or cancellation until 8:30 AM. We understand that this can be frustrating, but we REALLY want to give folks that want to ride every opportunity. We will delay if we see lightning or have other significant concerns. In any event, the Ride must begin by 10 AM so that we can provide a safe and supported ride. We thank you from the bottom of our hearts for your support and want you to make the best decision for yourself as far as riding the Ride. Sign-up for one of our 23, 42 or 62 mile rides through the beautiful central Texas spring countryside, starting and ending at Samsung Austin Semiconductor. The Ride benefits children of Rosedale School, AISD’s only school exclusively for children with multiple disabilities and profound needs. Regular registration: $60 for the 62, 42, 23 miles. $25 for the Kid's Fun Ride, $25 for Virtual Ride. Due to construction at Manda Carlson Rd between Felder Ln and Pfluger Berkman Rd, both 42 mile and 62 mile routes have been changed to ride around the construction. The 23 mile route remains unchanged. Flaggers will assist you at all turns. WEAR A HELMET—This is a must. Gotta do it. Very important. It’s the smart thing to do, and your mother will worry less. abilities. It’s not a race. ROAD CONDITIONS—Prior to the event, volunteers ride the course to identify major hazards. You still need to be on the lookout for yourself. Long story short—please be careful.This is especially important under wet conditions. THE ROADS ARE PUBLIC—Flaggers are directing the RIDERS, not the traffic. All of the roads of the Rosedale Ride course are public, and will, therefore, be shared with everybody else—cars, trucks, farm equipment and the occasional dog or chicken. Please observe all traffic and safety laws accordingly. 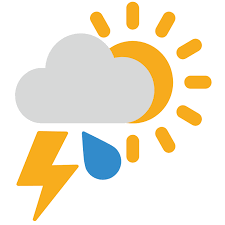 BE AWARE OF THE WEATHER—Once you leave the Ride Start area, weather conditions can change over the length of the ride route and during the course of your ride. Please be aware of the weather and stay safe. Call us for a ride back in a SAG vehicle if you need to. We will have breakfast tacos and doughnuts available from 7:30 AM while they last and coffee to get your day started. We are excited to have Jimmy Vegas’ BBQ and f’real smoothies and shakes ready to serve you lunch and treats after the ride. On-site registration and rider packet pickup will be available. We'll also be selling some of our fabulous 25th Anniversary merch. To celebrate our 25th anniversary, please join us for a bigger and better than ever Kick-Off Party and Packet Pick Up at Silicon Labs Lobby, 200 Cesar Chavez, in downtown Austin from 6-9 pm on Thursday, April 4th. Parking will be available under the building off of Colorado. We are thrilled to announce that Dripping Springs Vodka, Austin Beerworks, and Martin Ulisse Wine Importers will be providing beverages. Uchiko, Gusto, Colleen's Kitchen and Le Politique will be providing small bites. There is no charge to attend the party, but guests are asked to RSVP here to be added to the guest list. We suggest a donation of $25 in Silent Auction purchases or other forms of donation at the party. As always, you can register, pick up your packets and t-shirts , ask any questions and mingle with the Rosedale Ride community. If you are unable to attend the party, packet pick up will also be available the morning of the Ride starting at 7:00 am. 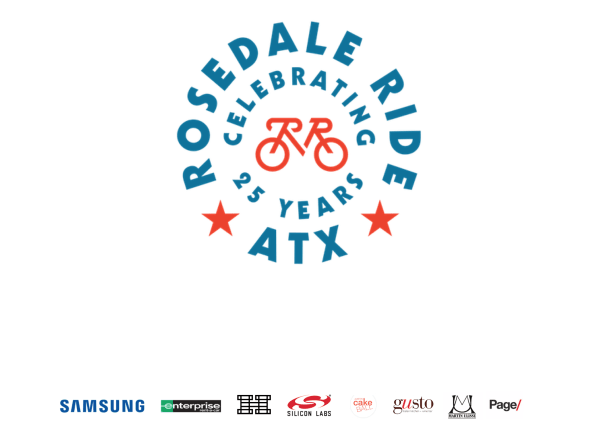 Rosedale Ride has grown into one of Austin’s premier bicycle events with over 1000 participants. 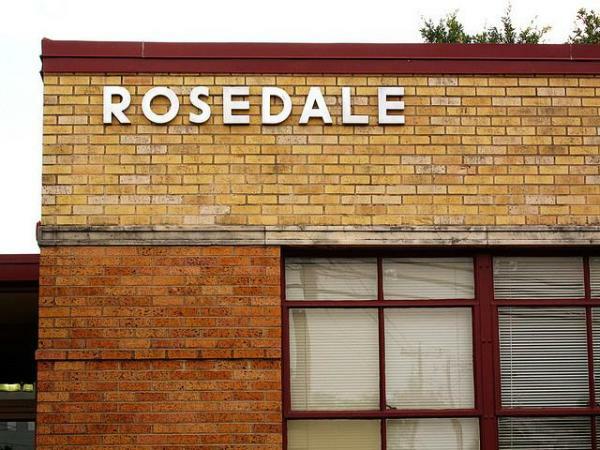 It is currently the largest fundraising effort supporting the Rosedale School. The ride has made big changes to the facilities at the school, helping with adaptive transportation, learning centers, sensory activities, and more. To learn about the benefits of becoming a sponsor, please contact us.